The festival of Krishna Janmashtami—also called Saatam Aathan, Sri Krishna Jayanti, Gokulashtami, Ashtami Rohini, Shree Jayanti, and Krishnasthami—is one of the most important festivals on the Hindu calendar, particularly for the followers of Vaishnavism. 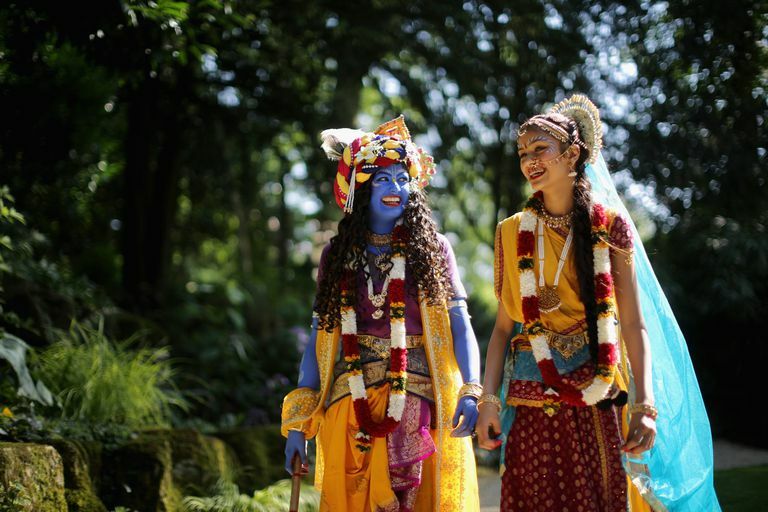 The festival honors the birth of Krishna, one of the most popular deities, and it takes place over two days in the late summer or early fall, depending on when it falls in the Hindu lunisolar calendar. Description: Krishna Janmashtami is a two-day-long event celebrating the birth of the Hindu god Krishna. Key Participants: Hindus, particularly followers of Vaishnavism. Start Date: The eighth day of the lunar month of Bhadra or Bhadrapada, typically in August or September. End Date: The ninth day of Bhadra. Location: Major cities in India, particularly in Uttar Pradesh, Gujarat, Tamil Nadu, Rajasthan, and other states. Like other Hindu holy days and celebrations, Janmashtami's date is determined by the lunisolar cycle, rather than the Gregorian calendar used in the West. The holiday occurs on the eighth day of the Hindu month of Bhadra or Bhadrapada, which typically falls during August or September. Bhadrapada is the sixth month in the 12-month Hindu calendar. Based on the lunisolar cycle, each month begins on the day of the full moon; Janmashtami is celebrated beginning on the eighth day of the first half (when the moon is waning) of the lunar month. On the first day of the festival, known as Krishan Ashtami, worshippers begin at dawn by fasting, reading scripture, and conducting prayer rituals (puja). The fast strictly prohibits the consumption of grain but may be broken by small meals of fruit and water. Dances and dramatic reenactments of the Janmashtami myths are performed during the day. Some cities—such as Mathura of Uttar Pradesh, where Krishna is said to have been born—and Mumbai, at the huge temple complex of ISKCON, parades are held and temples and statues of Krishna as an infant are brilliantly decorated. At midnight, the fast ends, and the Krishna statues are bathed in milk and honey, or in water that has been treated with a combination of spices: cloves, cardamom, saffron, Tulasi, and rose petals. On the second day (Janam Ashtami), the Chappan Bhog is collected, a huge offering of 56 of Krishna's favorite foods. Those include cereals, dried and fresh fruits, sweets, pickles, and nuts; each of the 56 must include a quantity of eight. After the offering, the foods are distributed to the participants. In some of the larger cities, the Dahi Handi is performed—an entertainment recollecting the mischievousness of Krishna as a boy. Clay pots containing butter, curd, and money are strung high up on buildings, and young men form human pyramids to compete with one another to break the pots. Hinduism is a polytheistic faith that has hundreds, if not thousands, of deities and incarnations of the faith's primary gods and goddesses. Blue-skinned Krishna is both an avatar of Vishnu, Hinduism's principal deity, and a god in his own right. He is associated with romance, music and the arts, and philosophy. Krishna was a mischievous child who loved music and pranks. As an adult, Krishna drove the chariot of the warrior Arjuna, whose story is chronicled in the Hindu holy text, the Bhagavad Gita. Krishna's philosophical discussions with Arjuna highlight the main tenets of the faith. Hindus throughout India worship Krishna. Paintings, statues, and other images of him as a child or an adult are very common in homes, offices, and temples. Sometimes he is depicted as a young man dancing and playing the flute, which Krishna used to charm young women. Other times, Krishna is shown as a child or with cows, reflecting his rural upbringing and celebrating family ties. According to stories recorded at least as long ago as the fifth century CE, Krishna was born in Mathura, the son of Devaki, the beloved sister of King Kamsa, who had arranged her marriage to Vasudeva. At the wedding festival, a great voice came from the heavens and told Kamsa that he was destined to be killed by the eighth son of Devaki and Vasudeva. In fear and rage, Kamsa threw the couple into a prison and vowed to kill all their children. Kamsa began a reign of terror on the city, causing great misery, and he killed the first six of their children. Miraculously, the seventh son, Balram, was transferred from Devaki's womb to that of Princess Rohini in Vrindavan, where he was safely raised to become Krishna's eldest brother. 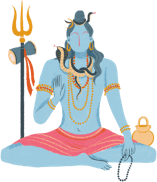 Devaki's eighth baby was incarnated as Vishnu in the womb, and when he was born, the guards fell asleep and the doors of the jail magically opened. Vasudeva smuggled Krishna out of the prison to his friend Nanda to be raised. A frightening thunderstorm and heavy rainfall made the trip difficult, but Shesh Nag, the snake god, sheltered them from the storm. Vasudeva gave Krishna to Nanda and took his wife Yashoda's child, who was a girl, and then went back to prison. The doors locked behind him, the guards awoke and went to tell Kansa that a girl had been born, not a boy. Kamsa rushed to the jail and attempted to dash the baby to her death, but the baby rose into the sky and took the form of the Goddess Durga, making one last warning to Kamsa about how his death would occur. Krishna grew up in Gokul, living with Nanda and his wife Yashoda until he was fully grown. Then he returned to Mathura, freed his parents, and killed Kamsa as had been foretold. Hawley, John Stratton. "Krishna's Cosmic Victories." Journal of the American Academy of Religion 47.2 (1979): 201–21. Print. Varshney, Dinesh Chandra. "Krishna Legend and Mathura." Proceedings of the Indian History Congress 54 (1993): 78–83. Print. Vyasa, Krishna-Dwaipayana. "The Mahabharata of Krishna-Dwaipayana Vyasa." Trans. Kisari Mohan Ganguli. Eds. David King et al. Project Gutenberg, Web. ---. "The Song Celestial. Or Bhagavad-Gita (from the Mahabharata)." Trans. Edwin Arnold. New York: Truslove, Hanson & Comba. Project Gutenberg, Web.